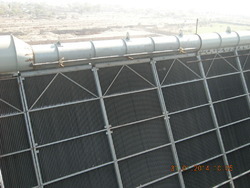 Leading Manufacturer of air cooled condenser and water cooled condenser from Sriperumbudur. Being a client focused organization, we are engaged in manufacturing and supplying best quality Water Cooled Condenser as per the given details. The demand of offered condensers is increasing as these are manufactured using optimum quality raw material in accordance with the established quality standards. Prior to dispatch, we check the provided condensers so as to ensure these are fit for sea water marine application or with steels shells.